Reservation may not be cancelled. Full payment will be forfeited. Full deposit non-refundable prepayment required at the time of booking. The above benefits may not be used in conjunction with any other discount or exchanged for any other service or cash. The hotel reserves the right to offer a room or package substitution of the same value should the original inclusion not be available at the time of check-in. Rate noted above is based on recent raymond weil nabucco replica currency exchange data. The rate indicated on your confirmation is in the official hotel currency and will be charged at that rate on check out. Rates and availability are subject to change without prior notice. Package is for a maximum of two adults staying in one room. Rates are quoted per night and require minimum stay of 3 nights. No Extra Charges or Hidden Fees. For more information on applicable tariffs during your desired booking period or to make a reservation, please contact our reservations desk or click on 'Book Now'. Each of The Brilliant Palace’s Aquamarine rooms come with spectacular city views from private balconies. The stylish bedroom features extensive wardrobe, luggage storage space, an international satellite flat screen television and luxury bathroom featuring a rain shower. While additional amenities include a mini-bar, individually controlled air conditioning and an IDD telephone. Complimentary seasoning fruits and Mini-bar stock during your stay. Sumptuously decorated in the same contemporary style, featuring a Sofa and a king-size bed. These are perfect if you are visiting city. Sapphire Room has Free Wireless Internet Access. Relax in the comfortable easy-chair and watch one of the many free view channels on your 37" wall-mounted flat screen TV. Sapphire Room has a wonderful terrace panoramic city view with beautifully designed working/living area. 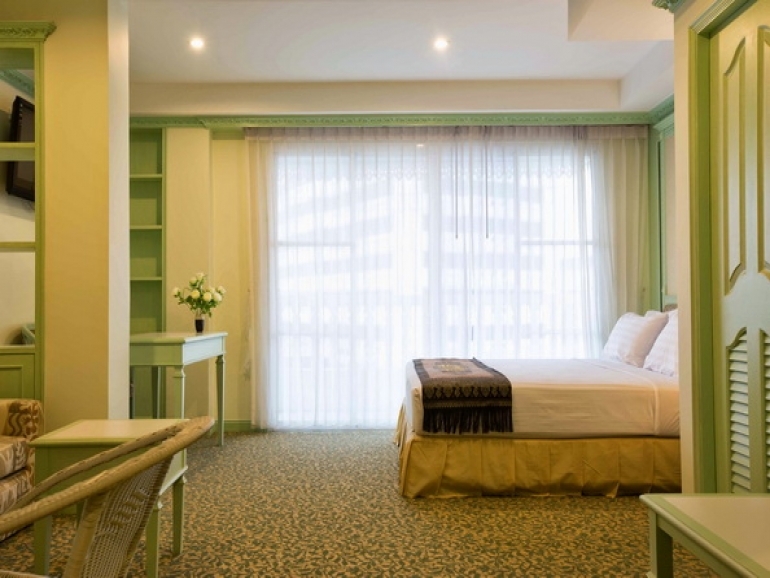 Each room is equipped with personal Safety deposit box, direct dial Telephone and Hairdryer, Bathrobes. Complimentary seasoning fruits and Mini-bar stock during your stay. Our elegant Ruby room offers beautiful views of the city from the private terrace of the One Bedroom Luxury Suite. These spacious suites retro toys come with a King-size bed, a contemporary plus a comfortable and beautifully designed living area with dining area. Incorporating the finest Bangkok hotel comforts, each suite comes with The Brilliant Palace's signature bathroom amenities along with shower areas in the en-suite bathroom. In-room technology includes 29-inch LED satellite TVs, and Mini-bar. Complimentary seasoning fruits and Mini-bar stock during your. stay.